Sip-N-Cycle Cruises is an unique human powered ride where new and old friends, family, co-workers and more face each other and pedal on individual cycle stations to propel a large paddlewheel at the back of the boat. 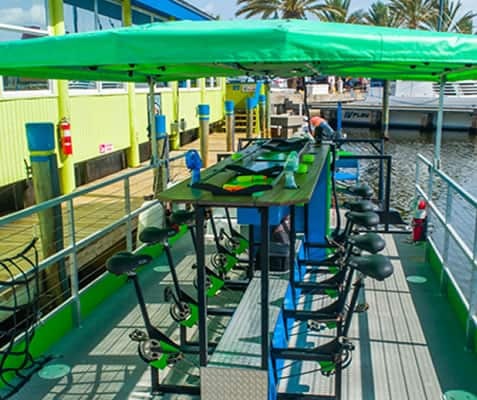 The Cycleboat has two inward facing rows of pedal stations maximizing face to face interactions and social exchanges. Cycleboats are perfect for hosting parties but are also great for team building, family reunions and shoreline sightseeing. Our unique cycleboat is approved by the U.S. Marine Safety Center and each Cycleboat is U.S.C.G. certified for commercial use as a Small Passenger Vessel. 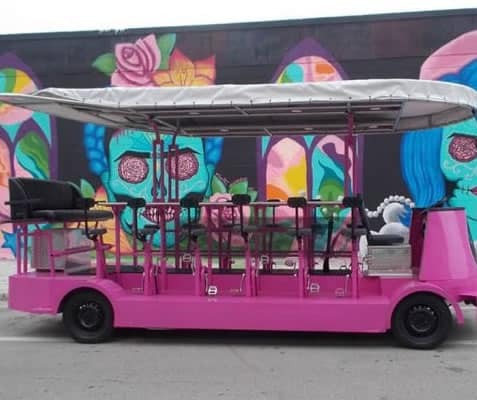 Enjoy a land tour as you pedal through the center of Siesta Key’s famous Village and along the shoreline of its #1 beach.